Used to provide effective drainage of rainwater from roofs. Fitted directly in the bottom end of rainwater drain pipes. The hinged flap is designed to open smoothly, allowing easy water flow. To prevent rodents entering the pipe, a removable filter grating (optional) is fitted inside the body. 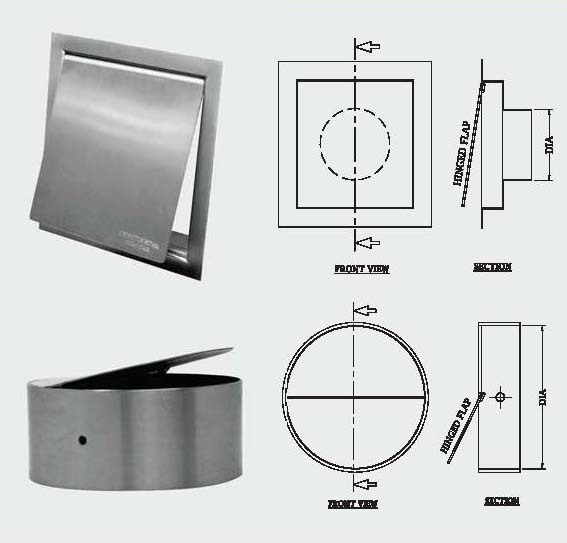 Available in standard square shape, circular, surface mounted or drip lip models. All outlets are made of Stainless Steel AISI 304/316 Grades. 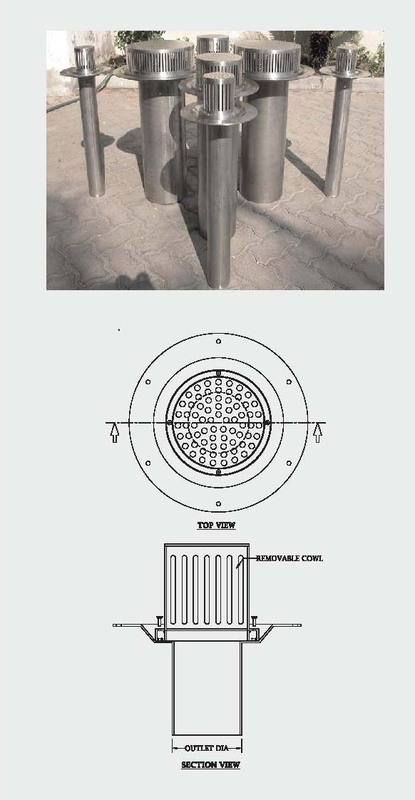 Flap Type Rainwater Outlets are made from stainless steel AISI 304/316 Grade. The outlet flap is with concealed hinges which allow flow of water and also prevents rodents from entering the drain pipe. For added protection, slotted grating/mesh is provided (optional). 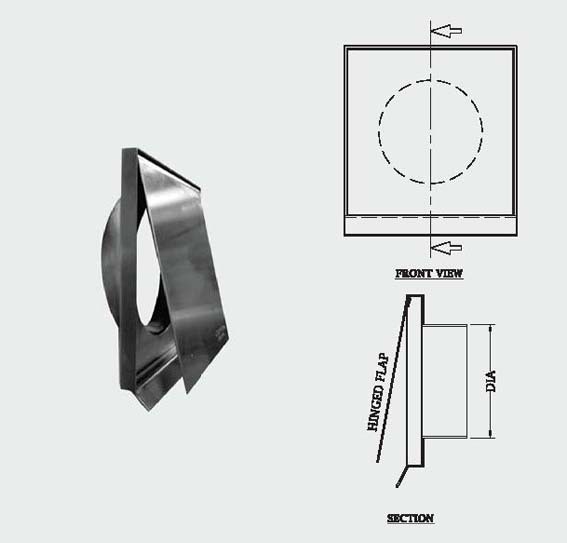 Drip Lip Type Rainwater Outlets are made from stainless steel 304/316 Grade. 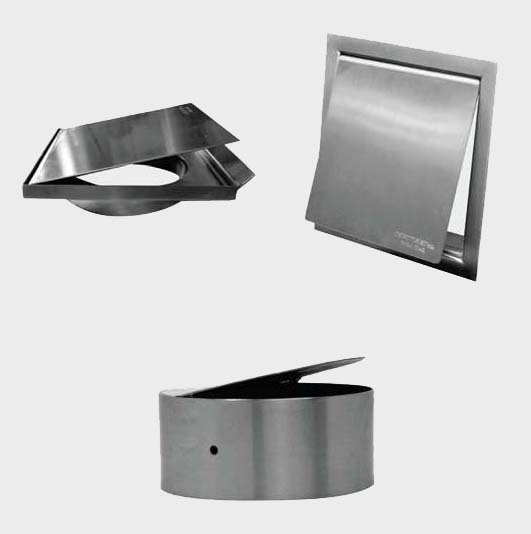 The outlet flap is with concealed hinges which allow flow of water and also prevents rodents from entering the drain pipe. For added protection, slotted grating/mesh is provided (optional).